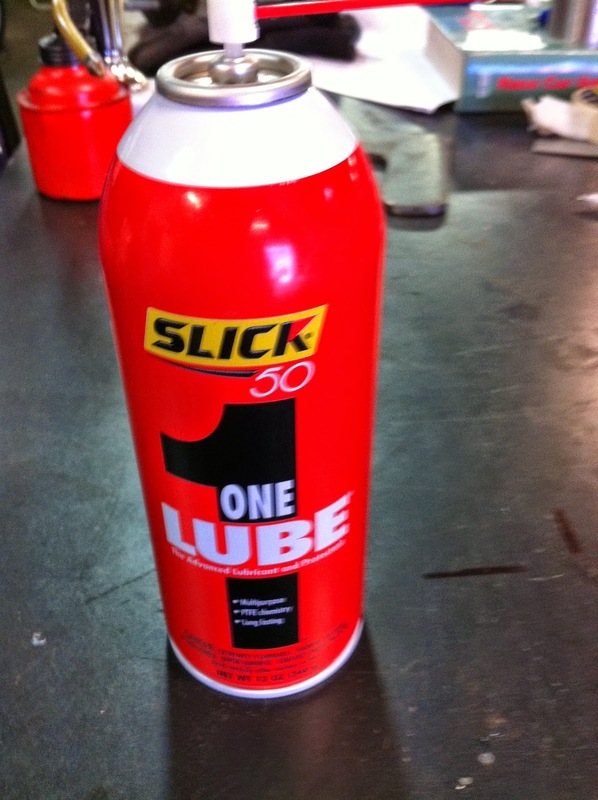 Preparing for Post Midsummer Speed. As well J. Kerouac concluded that a cold beer and dinner only taste really good if you’ve done some good work during the day. When you’ve got the feeling that comes from aching muscles and a tired brain, from laughter and weld smoke, from coffee and evaporated cutting fluid then you can await the dinner of your choise with real comfort. The Salt Slush Racing Team was of course in search of this feeling and needed to get out of restlessness and into seriousness. We all needed to hear and good stories told and therefore we had to force ourselves from thinking about our daily work, lawn mowing and midsummer barbecue and continue with The Rear End! ...and return to the workshop where we'll always have inspiring freinds visiting. The springs and shock absorbers has now been converted to coilovers by the ever great Anders-who's-thinking-about-chassis-and-taking-in-inspiration-Karlsson. ...Magnus imidiately saw the light. and adjusted where adjustments were needed. As we were tooling our way forward quietly and concentrated, all of a sudden Ragnar Burenius showed up with a racing seat for us to use as a dummy. Would our fat asses fit this race seat? Would the race seat fit the Amazon? We decided to test if Carina Björnsson, with her female body constitution could find space in the seat. And since she was happy, we concluded that the seat size should not give any of the team members any problem....fit as we are.. It fits as well in the vehicle..
...if we move the transmission an inch to the right...and are really lucky with the roll cage position. Then we should be good! After this interruption, the work continued as if nothing happened. The sweetness of success were close and the Sunday evening rewards was approaching as our ideas and achievements was concluded. ...Carina was proud over her acomplishment in the workshop and her hollyhoch, which she eventually managed to get growing outside our workshop! A good day for all of us! Does any old car deserve to raise up from the junkyard, be revitalized and tuned to its limit? We all know about Willys Coupe, Ford 32's and Chevy Tri-Five's...and their like, but appart from those, which cars has the potential to not only fulfill collectors needs? And why? The truth is of course that there is no truth. To predict which car that will be iconic is hard, many good looking old cars has been forgotten...but one parameter, besides a good design, is how many hot rod / custom cars that has actually been build. The amount of hot rod Amazon is huge. Another important parameter is how successful it was in racing when it was new and how easy it was for enthusiastic car guys to get hold of and mimic the race cars. 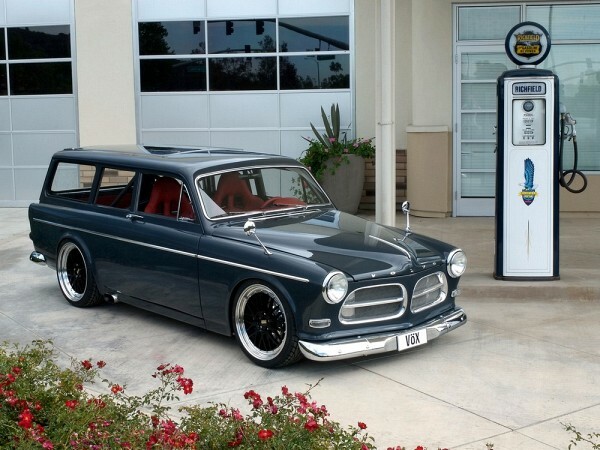 The boundaries above are fulfilled with the small and cool looking Volvo Amazon. The Amazon is a light, rear wheel driven car that looks like it's iconic big brother, the Mercury -49 and when it was 10-20 years old the availability of speed parts in Sweden was good to say the least. Generations of car guys in Sweden has started their search for Speed in a Volvo Amazon. At times it felt like you could buy B20 camshaft in every grocery store in Sweden. At El Mirage after 46 years work in progress, 180 mph on 20 % throttle. Read more on below links since the story and heritage is good. You find more info if you click below. What a wonderful world! 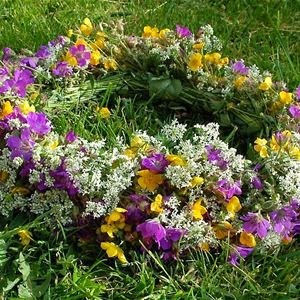 It's Midsummer! 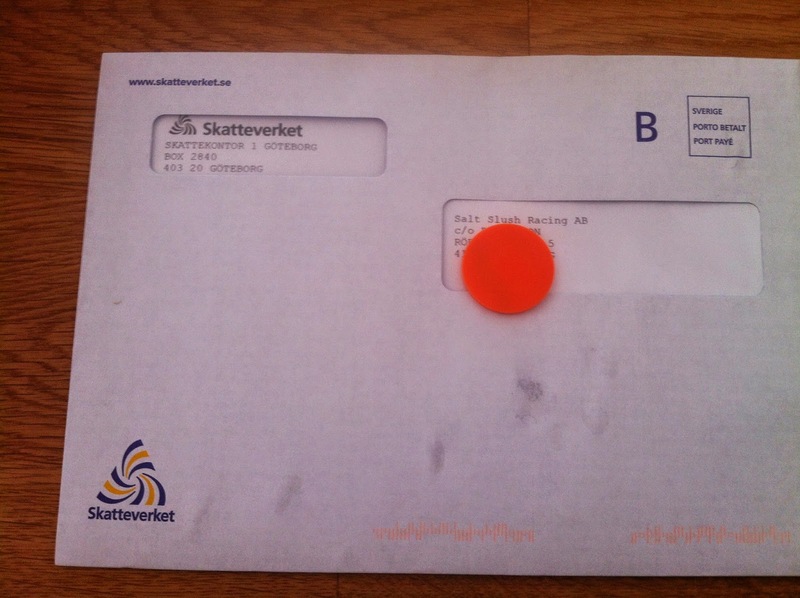 This is the longest and lovliest day (in Sweden)! Sun's going up eleven past four in the morning and down quarter past ten in the evening. Why sleep the time away when you can be in the workshop or have a party? Not to not burn daylight becomes serious business, now when you can cut the sleep and do useful stuff. 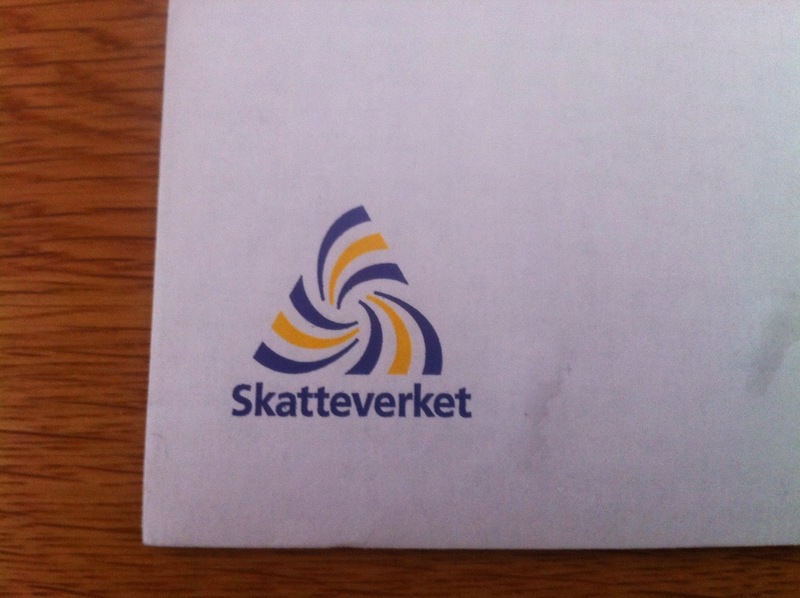 Luckily, we have our headquarters in the southern part of Sweden. Up north in the remote part of the world the sun is on all night and day. Like it or not, it's the midnight sun. 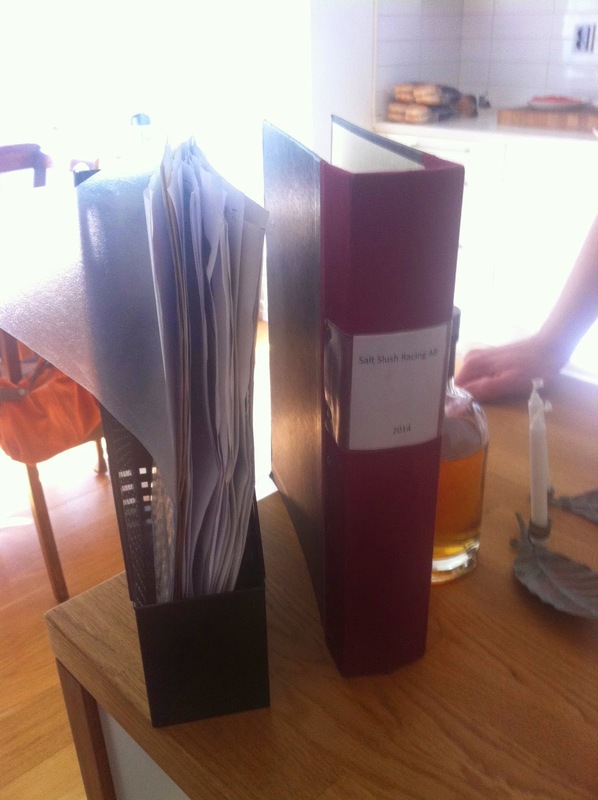 Bring your blindfolders if you need darkness to sleep good. 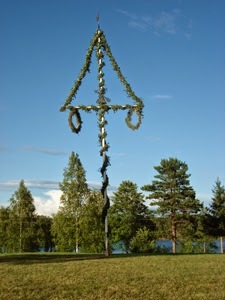 In Sweden, midsummer is a very important and a big celebration, meaning that we will be celebrating as if we had a party outside the SSR workshop in the spring. As if it was Friday 17th of May 2014. At midsummer almost everybody in Sweden has a day from work and we're in to it as if it was Thanksgiving in US...shops closed, social event etc. In Sweden this year, we've had an early nice summer and all the tree flowers, all are young and fresh and everything looks just fantastic. The sea is on the borderline of being warm (maybe around 19 deg C). Above means that we'll have good time tomorrow with family and friends while we're dancing the Small Frog dance, drinking Snaps (local booze) and eating herring (a kind of fish), while collecting flowers (at least seven different types) to put under the pillow, to dream about...you've guessed it already...Speed parts...that glow...in the few hours of dark! The rear end story continues. We had a good day in the garage today. We were able to split the work between us, which secured a quick progress. Besides many hands, good equipment helps a lot and the band saw for metal (we love it! ), milling machine (good ol' Swedish SAJO), our small lathe and of course the mig and tig welding equipment offered us a good start. Håkan were busy fabricating the shock and spring console (the one you saw in chapter 2 as masonite mock ups) in steel all though with some minor changes. Meanwhile I rearranged the forward plates for the for the rear axles. 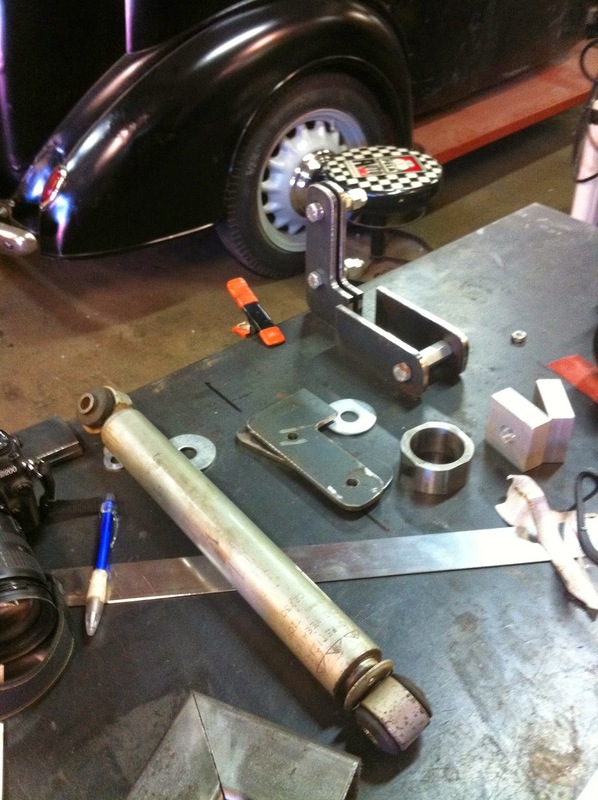 We preferred to milden the drag race behavior of the rear axle and go for a more parallel rods. We also added a rubber bushing on the top point instead of the uni ball, to avoid geometrical lock up and friction caused by that. Welding makes life seem brighter for a short while... and our 4-link fixed to the frame forever. Yes, we will build more structure and conect it to the roll cage. 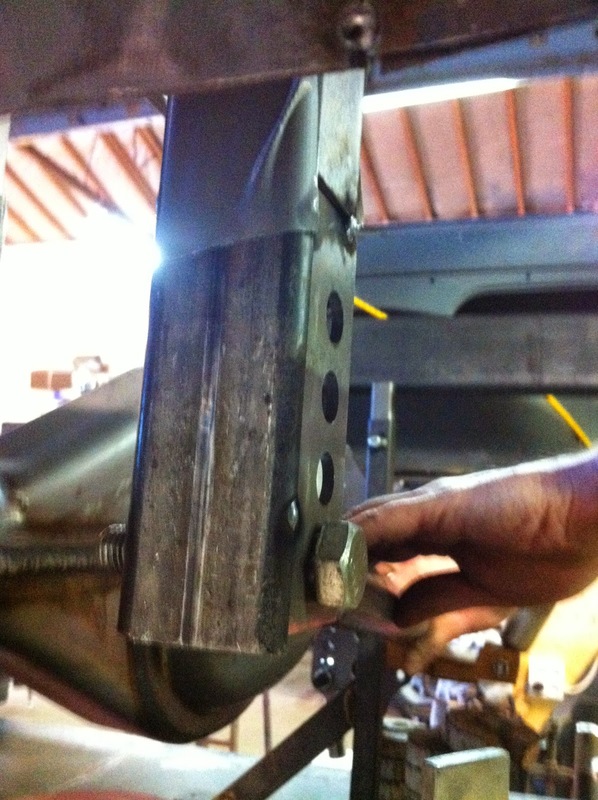 Meanwhile Anders fabricated the panhard bar set up. Where to connect to the frame? ...and to the rear axle? Above you see how we connected the bar to the frame. Structure for strength to be added later on. 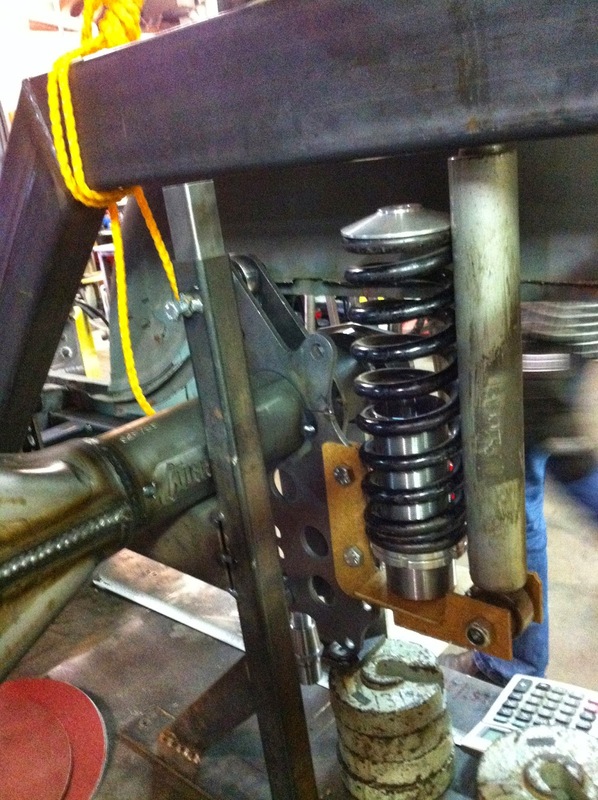 We are as well planning to use the uniballs from the rear axle bars that we choose to replace with rubber bushings. 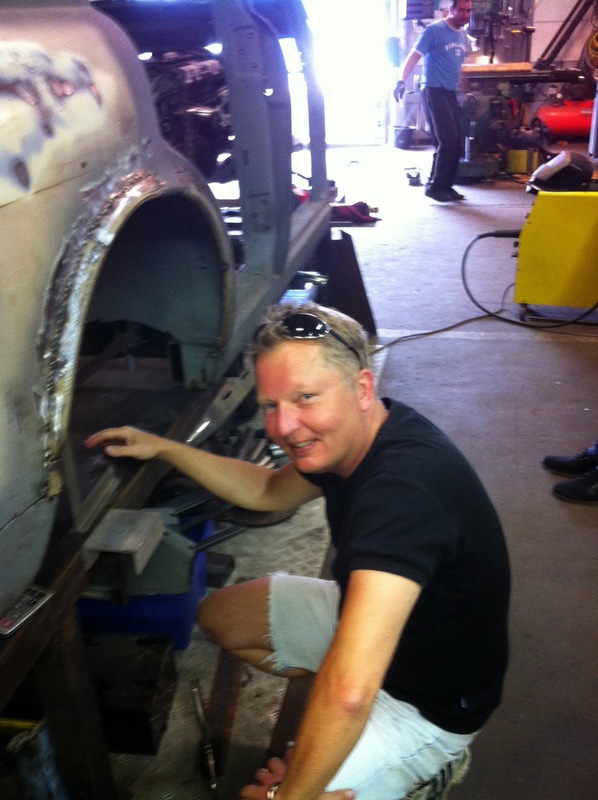 ...Anders is evaluating how and where to fixate in the rear axle. 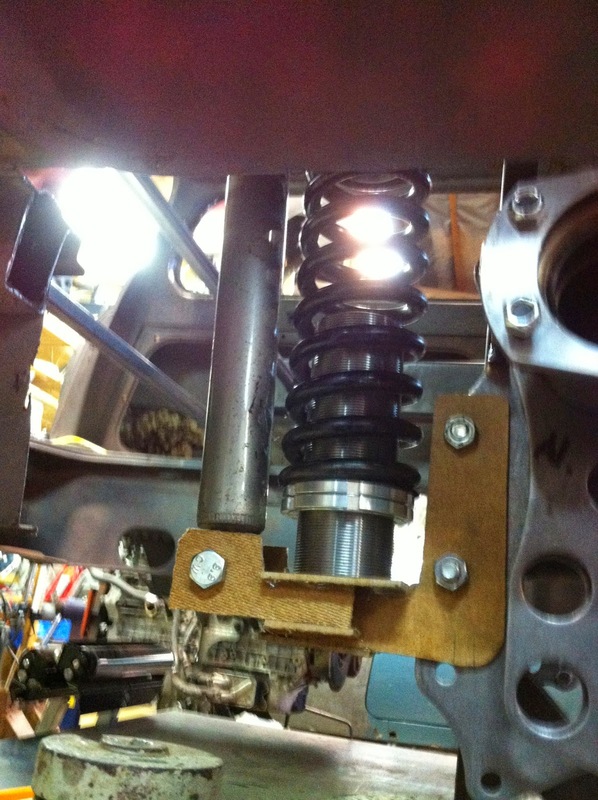 Probably we will fix it to the spring and damper console that Håkan made. Nevertheless, we started some months ago with some parts from Competition engineering by Moroso. Yesterday we met to plan our next steps the coming months. We started with some inspiration to get in the mood, combined with some beer and burgers. We for sure got inspired and picked even up some useful tips ! Enjoy and make up your mind ! At least we did ! Now we know what to do the coming months. We are going BIG now !!! Yes Yes we are going really BIG now !!! 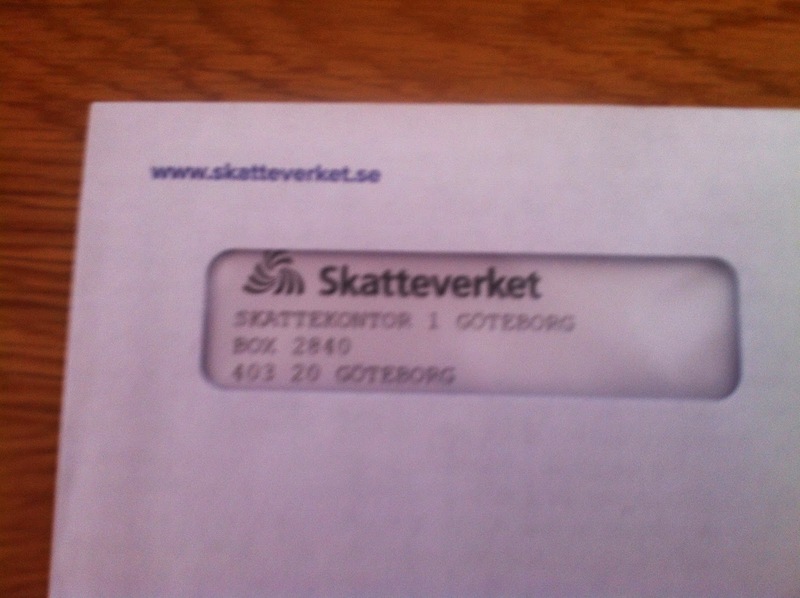 We got our first mail from the Swedish Tax Authority ! 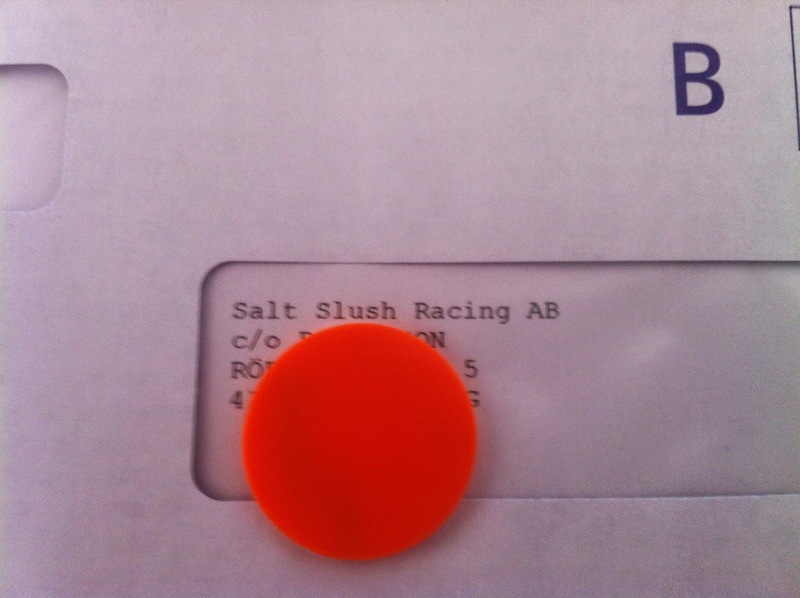 We now have a registered company Salt Slush Racing AB, which is Inc in US or Aktiengesellschaft in Germany. Honestly the reason is to enable administration of any possible sponsor support. The one and only our first probably in a row of many letters. Our administrative partner, maybe, could be, wrong probably our best paper maker. Respect instead of fear ! Yes we know what it will lead to, administration, papers and not that much racing. 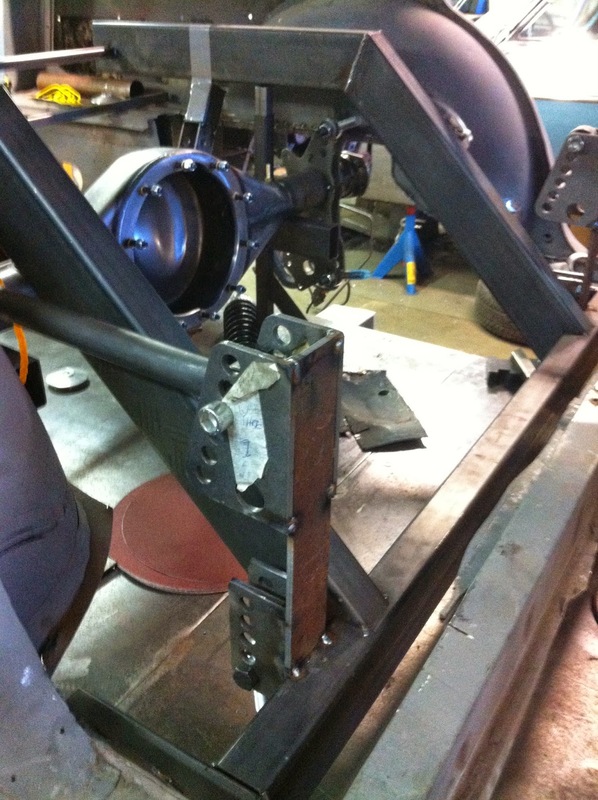 We are moving on with our project and it's now time to start with the roll cage. With the rule book in our hand, that gives us guidance regarding choice of material and tube size, we're moving on step-by-step. Steel will be used, since low weight is not of high importance. Our aim is to use 1 3/4 inch outer diameter with 1/8 inch thickness. If we would had used stronger Chrome Molly tubes and been able to go down in thickness, but since we even want a little bit of weight rather than weight reduction, we'll go for the good ol' steel. We have a first edition of Catia drawings which we needed to check and give some more input to. 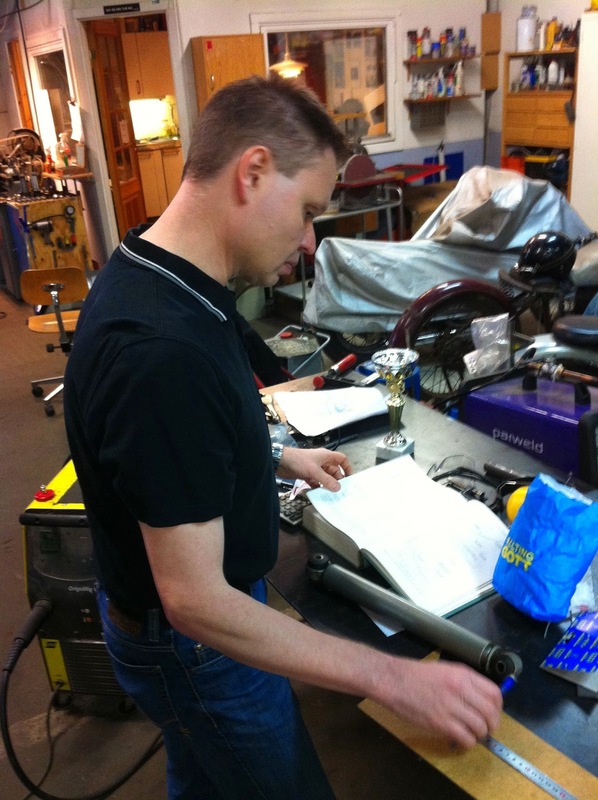 Magnus is checking all details and preparing for some practical evaluation. On paper is one thing, but the reality maybe something different. Magnus is trying to see what it will be like when ready. 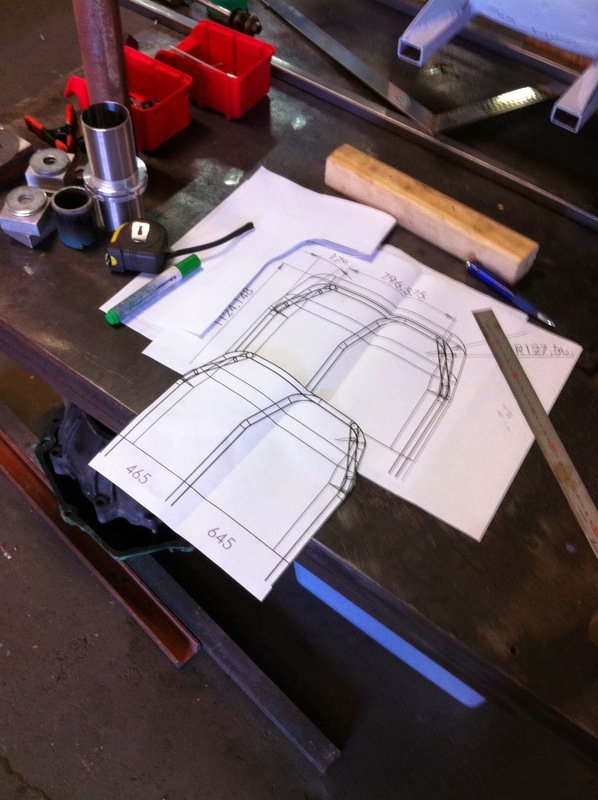 All in all, we came up with a number of needed drawing adjustments before we start to bend and weld. Will we manage to build our sheltering cage? Follow our progress in the next thrilling episode of The Roll Cage and you’ll find out! Rear end set up Chapter 2. Rear end set up continues and as you might understand, we try to do the homework before we mess things up. Luckily Anders knows where to go for basic knowledge. Of course we have close contact with Ola Gruvesäter as well, as you will see later on in this post. Think out a plan before !!! 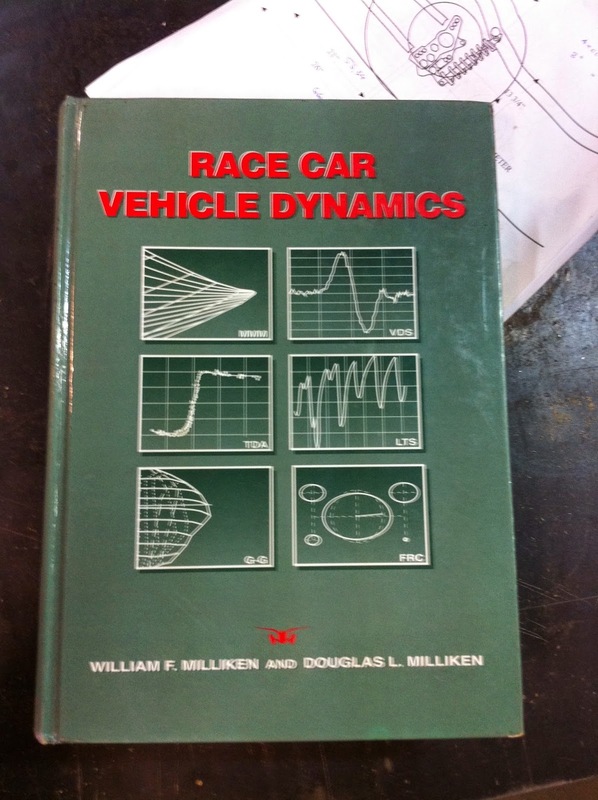 Anders check our thinking versus Race Car Vehicle dynamics. 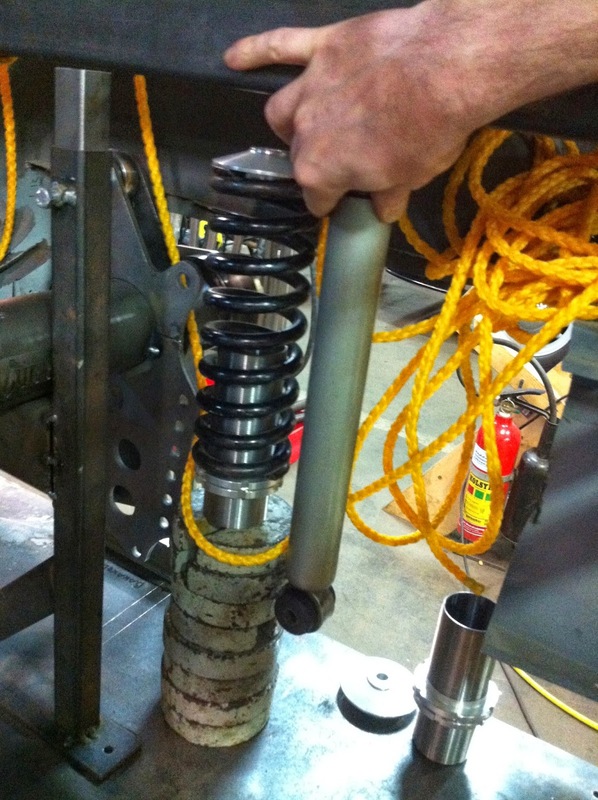 Basic damper set up for race cars is studied carefully. 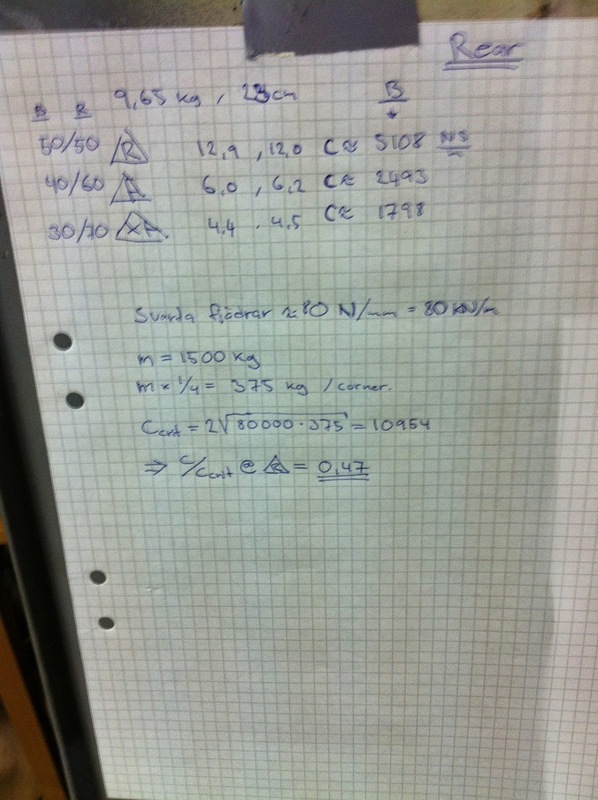 Anders made some measurements and calculation to understand the rear dampers we bought from Ola Gruvesäter and it seems to be according the book !!! Above you see the pile of parts we shall use for the rear end.... let see how to set it all up ! Anders thinking and trying ! Maybe this is how to do it ! 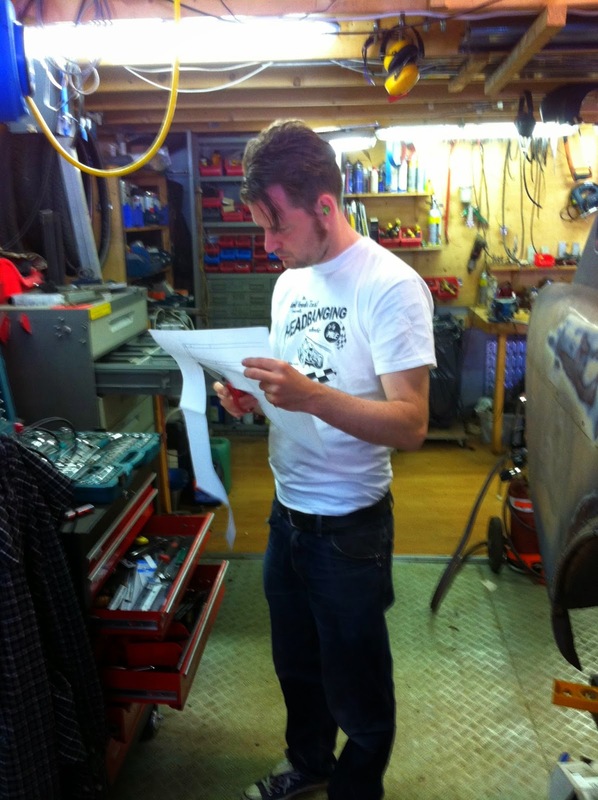 The one and only, Ola Gruvesäter is taking a look, We're thinking a lot on how to get and keep traction on the Salt. We don't have any experience from The Salt, so we will take what's close to a chassi set up for wet racing or rally on snow and gravel roads. It will at least give us a starting point. From masonite to steel Håkan using our favorite machine, The Bandsaw. 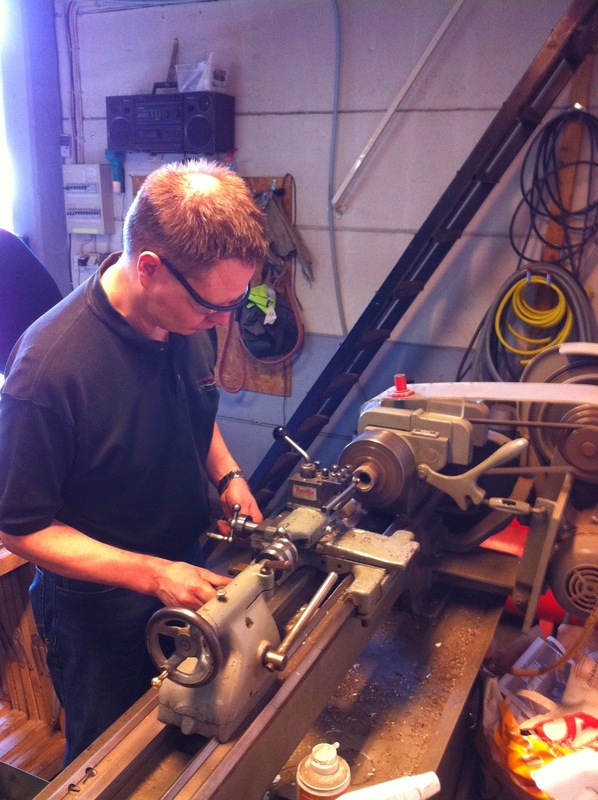 Anders started to prepare some pieces to fixate the spring. Todays, we had as well to use some strawberrys !